If you are a power athlete then maximizing strength is very important to you. Improving in your “big three” lifts depends on how you maximize the strength you have. Not being able to maximize your strength could make a huge difference between breaking a personal best lift and continually being stuck on the same weight. While powerlifting is called such because it depends on an athletes ability to generate massive amounts of power, technique plays just as an important role in powerlifting. 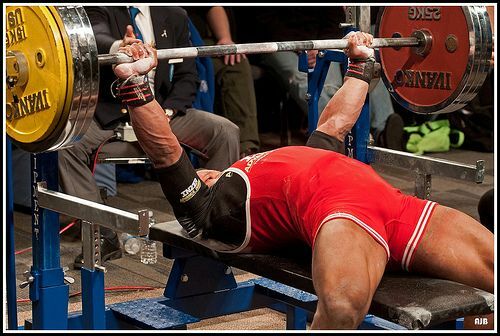 A lifter can be as strong as an ox but if a lifter can not apply proper technique when lifting their totals could be held back for quite some time. Another thing about proper technique is it actually helps a lifter utilize their full strength potential. Learning how to use a proper stance, how to generate speed in the beginning of a lift, or even something like how to hold a weight in place are all examples of working on the technical aspect of powerlifting. One of the biggest technique flaws I usually see with lifters is not being able to tighten up their “big three”. When I say tighten up I literally mean getting themselves physically tight. A powerlifter being able to get themselves tight is one of the most important aspects of completing a lift unfortunately it is also one of the most overlooked aspects of completing a lift. Think tightness is not important? 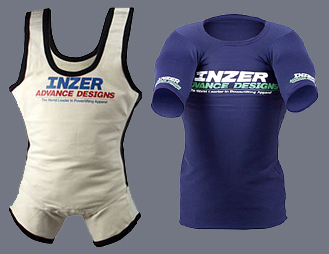 Take a look at any powerlifter that lifts with a bench shirt, squat suit, or deadlift suit. All these shirts and suits help in one major way, the ability to create maximum tightness. Let’s place the equipment aside for a second and focus on a lifter’s ability to get tight without the aid of equipment. A lot of times lifters become so dependant on their equipment for their tightness that if they ever have to lift unequipped they loose all sense of how to become naturally tight. While a lifter may not ever be able to get as tight as some of these pieces of equipment help with, a lifter still should know how to develop a degree of tightness in their body that acts like a natural form of a bench shirt or squat or deadlift suit. A tighter powerlifter will always be a stronger powerlifter. The main reason tightness is important is like I just stated; A tighter powerlifter will always be a stronger powerlifter. Another reason body tightness is important is because it creates tension and stability. The more stability an object has, the heavier load it will be able to balance when needed. The more tension and object has, the more it can fight another object pushing against the tension. When a lifter learns to tighten their body it is much easier to balance, hold, push or pull a weight. Squatting probably needs the most technique oriented overall body tightness out of all the big three lifts. With squatting there has to be shoulder, upper back, abdominal, hands and lower back tightness all going on. You want your entire body tight during the lift but these are the areas you especially want tight. Without proper tightness and control over these areas, expect everything from simply loosing your balance to possible injury or strain. When you have hundreds of pounds sitting on your back waiting to smush you into the ground, you want to create as much tension and stability as you possibly can for yourself. The first thing you want to do when setting up your squat is grab the bar as tightly as possible and start squeezing like you want to bend the bar. A tight grip helps insure against bar slippage. When getting under the bar pull your shoulder blades together as tight as possible. This motion also helps pull your elbows in and locks up the upper back so the bar does not move. Be sure to also arch your upper back. This combined with the pulling in of the shoulders will really create some tension up there. It will also help take pressure off of the wrist with the shoulders pulled in and elbows forward. Many people think this part is about squeezing the abdominals but it really is not. The best way to create abdominal tension while squatting is to do an outwards flex of the abs muscles. If you’re not sure how to do this wear a lifting belt a few times and flex your abs but also push your stomach against the belt at the same time. Put a really tight arch in your lower back. Do this by trying to point your tailbone towards the sky. The higher you try to get your tailbone the more tension you should feel to support your lower back. The better your lower back arch the less you will feel the load on your lower back. The bench press is the upper body brother of the big three. Because the bench press is such an upper body dominated movement, strict form and tightness are very important in this lift. Not downplaying the importance of strict form and tightness in the other lifts but the bench press applies more strain and pressure on smaller muscles, tendons and joints. This is why there tends to be more seriously damaging injuries from bench pressing than injuries from squatting or deadlifting. Not having tightness in your bench press can result in a variety of injuries from shoulders rolling forward, tricep strains, rotator cuff damage, and pec tears. The same overall rule for squatting applies to benching. You want to get your entire body tight. Remember more tightness means more overall force produced. Although bench pressing is an upper body lift you do use (or should be using) your entire body during the lift. The key areas to focus in on are the hands, upper back, lats, glutes and legs. Hand tightness in bench pressing is very very important considering this is what is helping you maintain hundreds of pounds being held over your body. Grab the bar and squeeze for dear life. When you have a more stabilized grip it helps keep the bar moving on a single path and not moving all over the place. This also helps stabilize the wrist, arms, and shoulders better. By tightening the hands you also increase your tricep power in the lift. · Range of motion is reduced for push weight up. The puffed out chest and pulled in shoulders create a natural arch reducing the distance a lifter ha to push the weight to complete the lift. 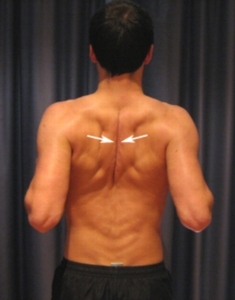 · It spares shoulder health. Most shoulder injuries from bench pressing occur because the shoulder is not getting enough protection and the joint gets overstressed. Did I just say legs? Yes I did! Fact is the best benches use a lot of leg drive. A solid leg drive can add some pounds to your bench pretty quick. Not only will it give you even more stabilization but your legs can give you more push off. Learn to squeeze your legs hard and push them into the ground as hard as possible then use your legs to drive your body into the bench. By driving with the legs like this it puts more pressure on the upper back and traps solidifying your base to push off with. That’s right I said glutes! More lower body stabilization for what is essentially an upper body lift? Believe it or not these lower body posterior muscles play a role in bench pressing. Keep your glutes on the bench and flex hard and the entire body will be stabilized well. This is also a good way to prevent lower back injuries while benching. The deadlift is the overall body lift of the big three. While the squat is mostly lower body and the bench is mostly upper body, the deadlift is a good balance of upper and lower body working together. In this case full body tension comes into play more than the other lifts. Tightness must be created across the quads, hamstrings, glutes, hands and the entire back. By learning to squeeze the bar as hard as possible this will help tense up the upper body and improve grip strength. Deadlifts can put some massive pressure on the back and spine, so the more tension you can create the better you can protect them. By learning to put the lats in the lift, you can become instantly stronger. A good way to do this is by learning to really tense the armpit area. Squeezing the shoulders back is also important in deadlifting because it reduces the risk of lower back injury by preventing back rounding. By learning to get tighter in the legs, you can create more hip drive for stronger and faster pulls. If you’re a strength lifter that focuses on the big three lifts, one of the best ways to improve your lifts is to learn how to create more body tension and tightness. By learning to create tightness you create more muscle stability, balance and strength. The Deadlift, Squat, and Bench Press can all be improved by learning to create more tension in certain areas. If you’re looking to up your lift poundage try upping the amount of body tension and tightness you’re applying to your lifts.